The wooden frame is absolutely a great piece of work. The image of radha and krishna are depicted on it. A halo is painted at Read More..the back of them. A cow is depicted in the image with krishna playing the flute and radha listening to it mindfully. The framed picture can be decorated in the living room or can be worshiped as well. 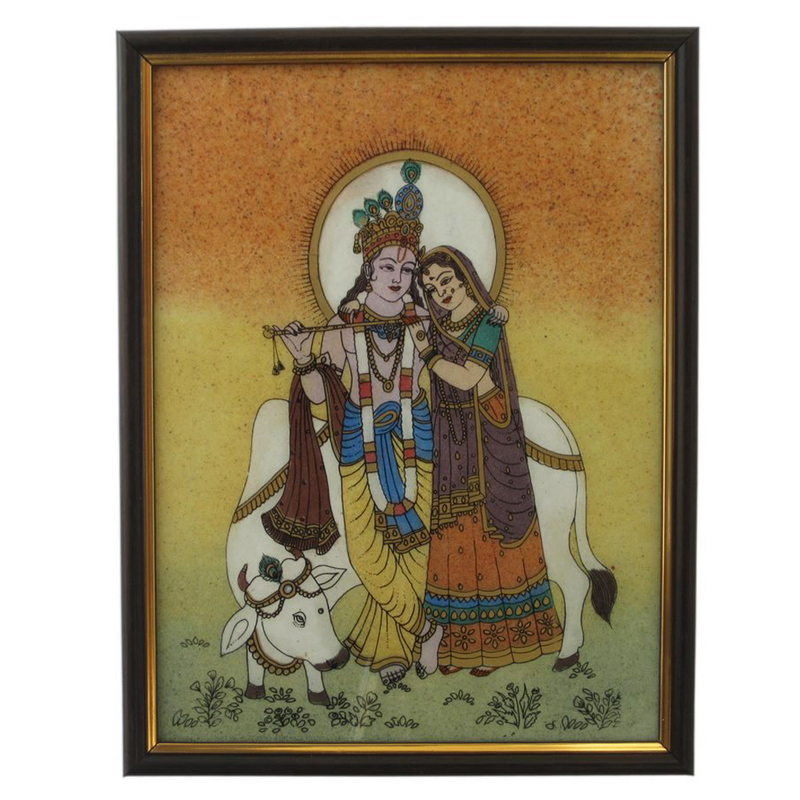 You can also present it to the lover of radha krishna. Show Less..